Here at EveryDog we truly believe there is no such thing as a bad dog. Only a dog which is yet to be properly trained. Dogs are naturally submissive animals and actually want to be told what to do. Most problems stem from a lack of discipline, quite often through fault of the owners. The good news is dog behaviour is rarely irreversible. Our trainers and behaviourists focus on teaching you, the owner, the proper way to handle and work with your dog moving forward. This is the absolute best way to ensure your dog is being taught the right things with a conviction and consistency that will ensure long-lasting results. So, whether you are thinking about getting a new puppy or rescue dog, you have just got one or even have an older dog which is need of some proper training we are there for you. From day one, we give you the latest dog training and behaviour theories to ensure that you truly understand your dog. Dog’s naturally benefit from a more intimate training style. They are freed from unnecessary distractions and can often make for a much richer and productive learning experience. Our trainers and behaviourists will also be able to fully focus on you and the problems you are facing to properly diagnose the cause and figure out an effective solution. If a new habit has formed our behaviourists can talk through the problem with you to understand where it has come from and show you the most effective ways to stop it. If your dog is pulling on the lead, has taken two steps back on all the training you have done previously, starting getting aggressive with other humans or dogs or even begun showing signs of dominance, rest assured, we have seen it all before and are here for you. 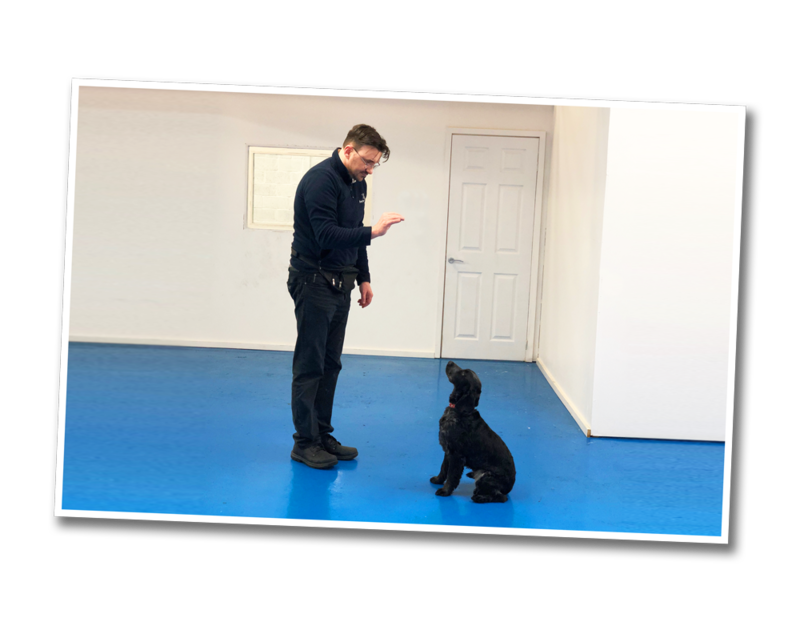 Dog training is held inside our heated units, which means that you have the perfect environment all year round – even when it is dark early in winter or raining outside. But don’t worry, we also have an outside space which is perfect for those warmer summer days. So, if you have a problem with your dog and are running out of ideas, give us a call or send us a message. Outline the issue in as much detail as you can and our experts will arrange a consultation and offer you the very best personalised help and guidance. Can’t see the problem you are facing? Don’t panic! Get in touch with us today and we will work with you to analyse the behaviour and find a long-lasting resolve!